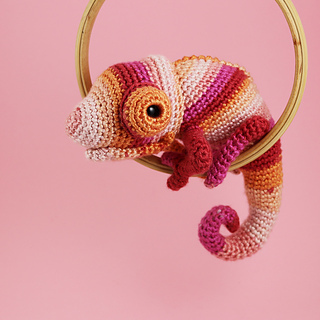 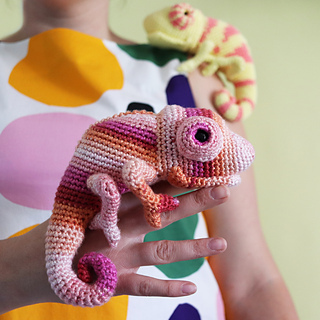 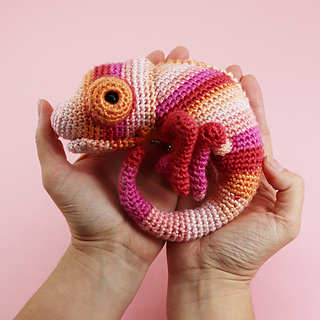 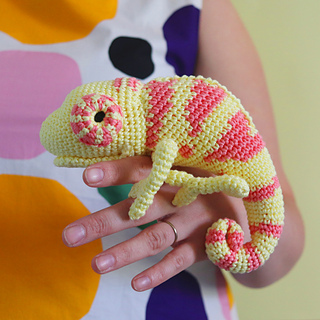 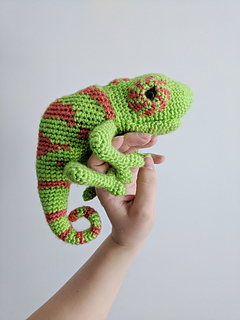 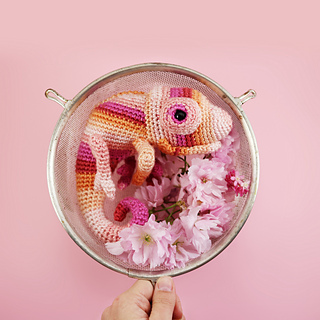 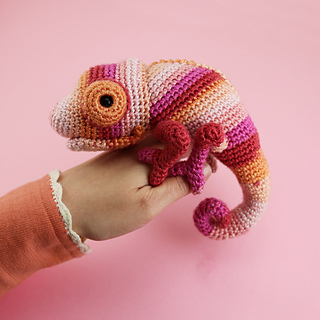 Chameleons are so colourful and fun - now we can work one up in no time using a mixed colour yarn or get extra detailed with a bit of crochet colour work! 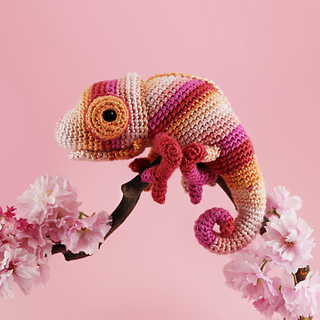 The Colour Pop Chameleon pattern includes two versions of the design, one made in a single multi-colour yarn and one where two colours are mixed together to create the pattern along the back. 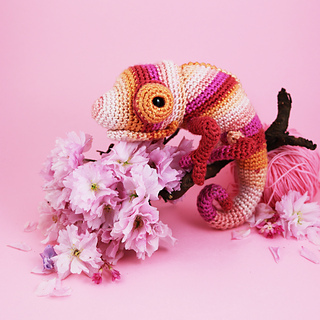 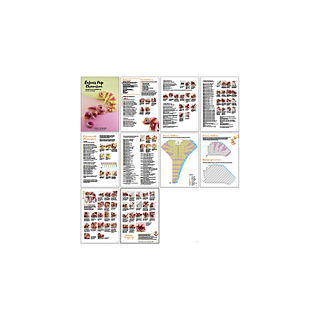 The instructions are in US crochet terms, with additional charts for the colourwork option, there is also a blank template for the main body if you want to design your own colour pattern. 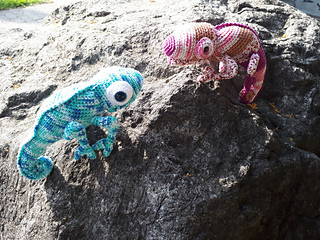 There are step by step photos detailing how to make the pieces and sew together the toy. 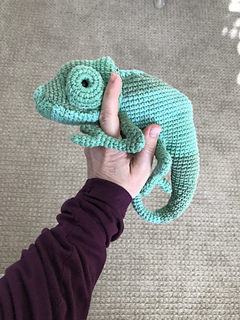 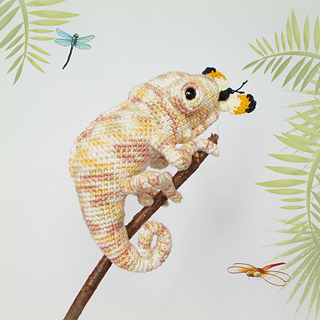 When made with DK weight yarn and 3.50mm hook the finished chameleon will measure about 36cm long from nose to the tip of the tail.